Although Dr Bruce Maccabee proposes that the 1950 memo written by Guy Hottel (see below) is related to the Silas Newton hoax, Sergeant First Class Clifford Stone claims that Newton knew the truth about the alleged UFO crashes and extraterrestrial visitors and had attempted to use the phenomena in order to claim that he had discovered a new form of energy. He attempted to raise funds, claiming that he needed the money to finance the operation. Silas Newton was convicted of fraud. Even though the 1950 memo relates to the Silas Newton deception, it does not prove that the UFO/EBE presence is either true or false, only that Newton had tried to use the information for deceitful and fraudulent purposes. 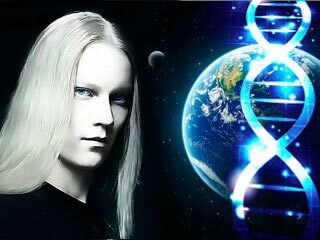 Sergeant First Class Clifford Stone, who took part in the Disclosure Project, claims that Silas Newton knew the truth. The memo was presented to Dr Steven Greer’s Disclosure project as documented evidence and remains under the ‘unexplained phenomena’ category at the FBI Vault website. The FBI have recently published a blog post confirming that they never investigated the claims made in the now-famous Hottel memo. 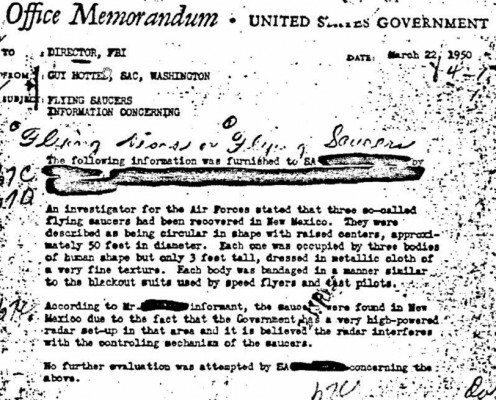 The FBI also made it clear that the memo is not related to the Roswell incident of 1947 in any way, the document relates to a completely separate incident which remains unexplained to this day. Additionally, recent attention has been drawn to the FBI document which confirms that a UFO exploded above Utah (see video below). Dr. Bruce Maccabee has studied the FBI files extensively and concludes that there is an extraterrestrial presence engaging the human race. 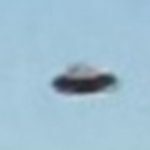 There’s been a whole lot of buzz going on in the UFO and alien community over the past few years with UFO sightings and public interest increasing tenfold over the past ten years. First the UK’s Ministry of Defense (MoD) decided to carry out a phased release of their official UFO documents leading up to 2012, NSA then made their files public and accessible online and now the FBI have started releasing their documents too. 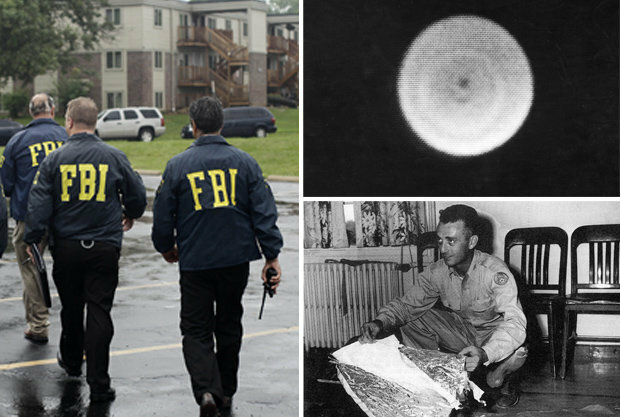 Although there’s some interesting information there, controversy has arisen particularly in relation to a document written by FBI special agent Guy Hottel in 1950 who claimed to have received information from a US Air Force investigator about a UFO found in New Mexico. 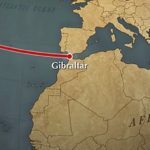 The document claims that three bodies about three feet tall, dressed in a very fine metallic cloth and bandaged up in a way similar to the method that test pilots use were recovered from the crash. Whilst many people are claiming that this document proves the existence of extraterrestrial life and it IS an official FBI document it has been suggested (decades ago) by Bruce Maccabee that the document could also relate to a hoax originally perpetrated by Silas Newton. Officially there is no explanation for the document and the FBI have placed it under the perhaps appropriate subcategory Unexplained Phenomenon (See edit at beginning of article). However, the document was actually presented as evidence to Dr Steven Greer for the purpose of the Disclosure Project, a non-profit organization that has collected over 120 hours of witness testimony from government and military officials, astronauts, pilots, etc who have all confirmed their will to testify under oath before congress that what they are saying about the UFO phenomena is the truth. * See the official explanation by Sergeant First Class Clifford Stone, for the Guy Hottel memo, below. 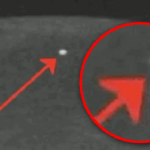 One document contained within the FBI files provides a detailed illustration of a flying disc which is, rather coincidentally, identical to the several discs that can be seen on the Youtube video of NASA’s infamous tether overload incident. The disc even had the triangular notch in it – after NASA told us that the anomalies on the video footage were most likely ice or dust particles. When this excuse didn’t fly too well they claimed they were camera anomalies – NASA gave two different conflicting explanations. The FBI also released documents in relation to cattle mutilations which have been strongly attributed to alleged UFO and alien activity whereby organs and blood had been removed with surgical precision. Several theories have been put forward to explain the cattle mutilation phenomenon such as other animals feeding on the carcass while it’s fresh, biological warfare experiments and even satanic occultism which was rife throughout the prison system. However, there remains absolutely no evidence to this day, even though cattle mutilations still take place. What we do know is that many of the animals seem to have been dropped from a great height and black helicopters are often seen. Some kind of belt, harness or strap was also found at one of the cattle mutilation sites which may have been used to either lift up or release the cow(s). It’s not only animals that are being mutilated though, there are actually also many human mutilations taking place too. Contained within the NSA’s archive is a document which appears to relate to 29 encoded messages received by extraterrestrial intelligence. Whilst this document stormed the internet amongst believers who claimed it also proved the existence of intelligent alien life, several skeptics came to the conclusion that the document is, in fact, just a staff training exercise. However, government whistleblowers have come forward to say that signals, such as the ‘wow signal’ have been received and documented numerous times by Harvard University but have been ignored because there were no furthers anomalies when those regions were scanned again. Harvard University confirmed with researchers that the claims were genuine. Neil Armstrong, the first man on the moon, stated that certain freedoms could be accessed if a protective layer of secrecy could be stripped away. He also stated that him and Buzz Aldrin were being watched by someone much more technologically advanced than us all the time that they were on the moon and that there was no question of a space station before later denying ever saying it. In addition, Edgar Mitchell (the 6th man on the moon) says he knows we have been visited and that extraterrestrial life exists. There are over four-hundred government and military officials that took part in Steven Greer’s Disclosure Project plus several more who are not taking part but are taking part in the disclosure movement. Edgar Mitchell has confirmed that he met with high-up government officials at the Pentagon who confirmed that the extraterrestrial presence is real, an alien spacecraft really did crash at Roswell in 1947 and the government has been covering up the evidence for decades. When questioned as to who was keeping the information secret the government officials stated that they did not know but it was obviously a transnational covert group who operate amongst the highest echelons of government. Command Sergeant Major Robert O’ Dean confirmed that this meeting had taken place in a basement room of the Pentagon nicknamed ‘the tank’. According to Colonel Philip J Corso’s books, The Day After Roswell and Dawn Of A New Age, and according to Corso’s testimony, it was in the basement of the Pentagon that Corso gained access to the Roswell file. Robert O’ Dean had Cosmic Top Secret Clearance (38 levels above top secret) and claims that, whilst working for NATO, he saw a classified document entitled The Assessment which explained the UFO/EBE presence in great detail and theorized that the extraterrestrials have been around for hundreds, if not thousands, of years and that man’s evolution may have even been a result of intervention by the extraterrestrials who are apparently knowledgeable on the subjects of genetic engineering and cloning. Dr Steven Greer On What’s Really Going On? Whilst the Ministry of Defense’s documents hold witness testimony but seemingly very little else information on the subject, former MoD employee Nick Pope believes that between 5-10% of sightings cannot be explained in conventional terms and that more investigations are required in the interest of national security. Pope also claims to have had a close-up photograph of a UFO on the wall of his office when he worked for MoD. In a UFO documentary entitled The Day Before Disclosure Nick Pope attempted to debunk several incidents before going on to state that an extraterrestrial presence is undoubtedly and unequivocally engaging the human race. * Nick Pope investigated UFO reports during his time working for MoD. In addition, the MoD confirmed that they found evidence of the existence of MJ-12 (Majestic-12) under a secret stamp but could attain no further information on the subject. The MJ-12 documents were also confirmed by Stanton Friedman’s interview with Charlette Mann, who confirmed that her grandfather was involved in a UFO crash retrieval involving alien bodies as early as 1941. Mann claimed her grandfather had told her that he had seen unusual small bodies that either had as skin, or were covered in, some kind of material that looked like aluminium tin-foil. Is it just a coincidence that the Guy Hottel memo also describes the same details? Despite this new information the Majestic-12 documents remain labelled a ‘hoax’ by the FBI yet the Guy Hottel memo has not been labelled a hoax. It has been confirmed by other government whistleblowers, such as Command Sergeant Major Robert O’ Dean, that Majestic-12 is now called PI40 and that there are now 36, or possibly more, members. In addition to the above, the FBI have many more documents relating to the alleged UFO/EBE presence including one document containing insightful information that a remote viewer had channeled during the time of the remote viewing experiments. The information seems to corroborate that from other official government whistleblower testimony, including that of Lt. Colonel Philip J Corso. Corso (and many others) claim that the extraterrestrials have developed technology that interfaces with coherent thought and that they wore head-bands which allowed them to become an integrated part of their spacecraft – in other words, they navigated their spacecraft simply by thought. “1. Parts of the discs carry crews, others are under remote control. 2. Their mission is peaceful. The visitors contemplate settling on this plane. 5. They do not come from any ‘planets’ as we use the word but from an etheric planet which interpenetrates with our own and is not perceptible to us. “7. The disks possess a type of radiant energy, or a ray, which will easily disintegrate any attacking ship. They re-enter the etheric at will, and so simply disappear from our vision, without trace. 8. The region from which they come is NOT the ‘astral plane’ but corresponds to the Lokas or Talas. Students of esoteric matters will understand these terms. Could the fact that the aliens allegedly communicate by telepathy and use thought to control their craft be the real reason for the remote viewing experiments in order to find out where the visitors were from? Despite the fact that the public were told there was no conclusive evidence to suggest that remote viewing was useful, Nick Pope claimed that he had seen surprisingly successful remote viewing experiments being carried out first-hand himself. 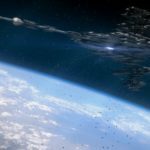 Whilst the Disclosure project offers very little actual smoking-gun evidence (even over 10 years later), we need to remember that there are plans for the weaponization of space which Dr. Greer and all other participants of the Disclosure project seem to oppose. There is over 120 hours of highly compelling testimony from massively prestigious, highly reputable and credible government witnesses, people who we have trusted (and who have earned our trust) to have their fingers on the nuclear trigger; people such as Dan Salter, NRO (National Reconnaissance Office) who claims to have direct knowledge of a worldwide organization called ACIO (Advanced Contact Intelligence Organization) that was set up specifically to communicate with extraterrestrial civilizations. As noted as part of Disclosure project testimony, when Mikhail Gorbachev was asked on CNN whether they should stop using weapons in space Mikhail’s wife stepped in and said “No, I don’t think we should ban nuclear weapons in space because of alien spacecraft!”. Her statement is ambiguous and can be taken either way. Did she mean that alien spacecraft are being used to propose an opposition to the weaponization of space? Or did she mean that we need to keep nuclear weapons as defense against alien spacecraft? Many officials testified to the fact that UFO’s had been shutting down equipment at secret nuclear installations and that they are concerned that we may take nuclear weapons into space, in which case, the aliens may need to retaliate. 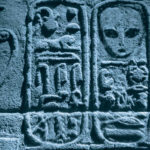 It was also claimed that the aliens are concerned that we may be on the brink of destroying ourselves – Earth is a precious resource for the extraterrestrials who are interested in Earth’s magnetic field which they can use to maneuver and stay aloft according to Wang Sichao of China’s Purple Mountain Observatory who confirmed that the observatory had observed ET craft on numerous occasions. So, are the aliens a threat to us or are we a threat to the aliens? Prior to the publication of Colonel Philip J Corso’s 1997 book, The Day After Roswell, Colonel Corso had compiled a selection of his notes, along with his original story, called Dawn Of A New Age (which turned out very differently subsequent to his collaboration with William Byrnes). Dawn Of A New Age contained notes, cautions and recommendations which Corso had provided to his superior, General Trudeau. Amongst these notes, Colonel Corso details how a charred semi-conductor chip had supposedly (sic) been retrieved from a UFO explosion (according to documents supplied to him) and had found it’s way into Army R&D (Research & Development) at the Pentagon in 1961/1962, where he was stationed, thirteen years after it was picked up. Despite the ridicule that Colonel Corso received because of his claims and his story, and rather fascinatingly, recently declassified government documents available at the FBI Vault website prove that a UFO did indeed explode over Utah in 1949, at the exact same time Colonel Corso claims the incident occurred (see video above).